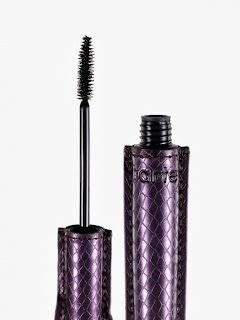 Tarte Lights Camera Lashes VS Almay Get Up & Grow Mascara! 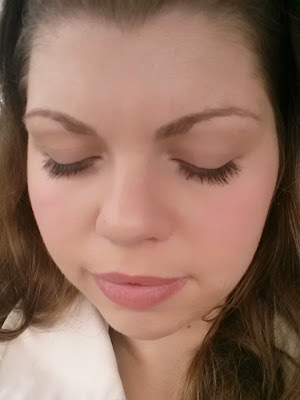 There are a few makeup products that are super important to me, and mascara is one of them! I used to buy one from Clinique, before I figured out that their products are high risk for toxicity. Then I switched to the Tarte brand. I have also used the Organic Wear from Physicians Formula, and now Almay Get Up & Grow. 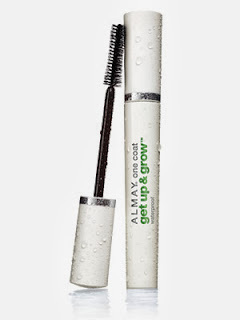 I truly believe Almay Get Up & Grow is a drugstore dupe for Tarte Lights Camera Lashes. Can you tell which mascara is applied to which eye? Tarte is on the left side of the picture, and Almay is on the right side of the picture. Claims to lengthen, curl, volumize, and condition. It is infused with olive esters to condition, treat, and protect lashes. I am sitting here typing this up at 11 o'clock PM. I put the mascara on at 10 o'clock AM. I would say that's a pretty long enough time to have really put these mascaras to the test. Neither flaked. Both look about the same as when I put them on this morning. They are so similar, I can barely tell the difference between them. I highly recommend trying the Almay Get Up & Grow Waterproof Mascara. Although it is waterproof, removing it hasn't been a problem for me. I always use coconut oil as a mascara remover. It comes right off.